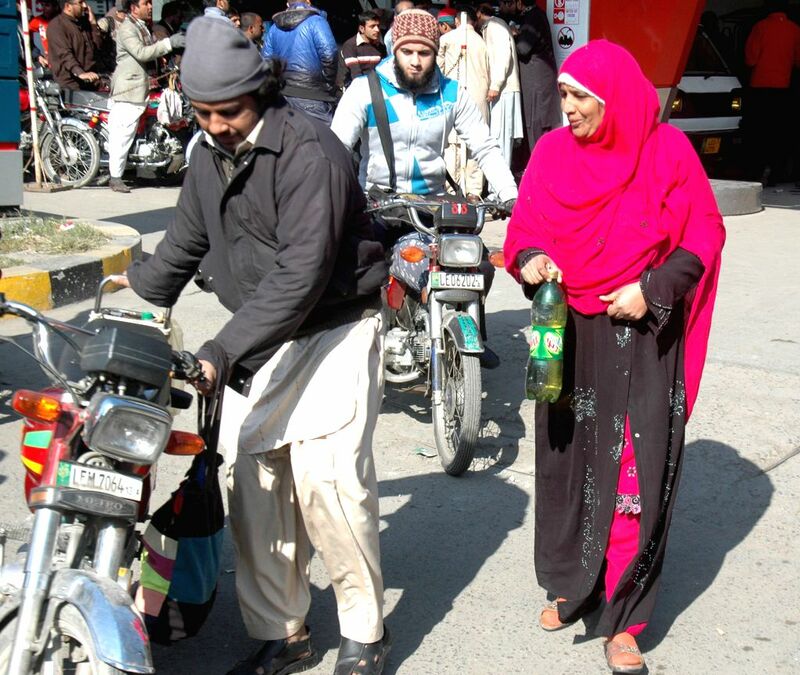 LAHORE, Jan. 16, 2015 - A man pushes his motorbike at a fuel station in east Pakistan's Lahore, Jan. 16, 2015. Shortage of petrol continued on the fourth day in various areas of Punjab including Lahore whereas Federal Minster for Petroleum Shahid Khaqan Abbasi has assured that situation will improve by Sunday. 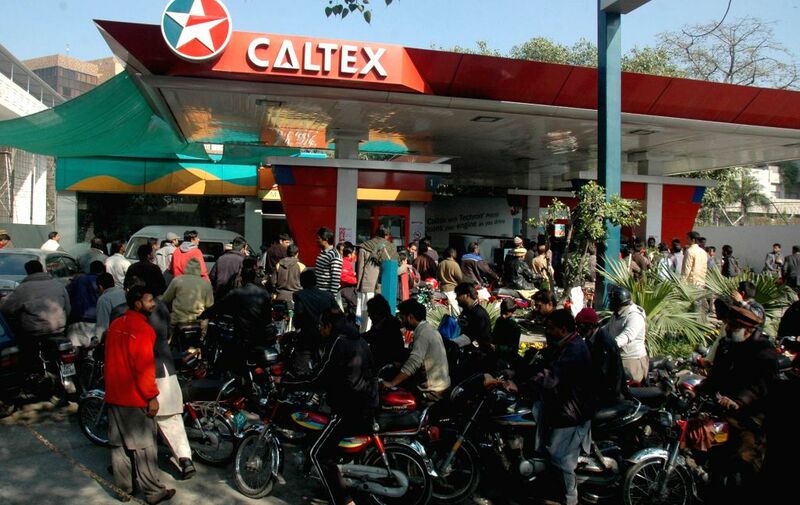 Motorbike riders queue at a fuel station due to petrol shortage in east Pakistan's Lahore, Jan. 16, 2015. Shortage of petrol continued on the fourth day in various areas of Punjab including Lahore whereas Federal Minster for Petroleum Shahid Khaqan Abbasi has assured that situation will be improved by Sunday.